September 23 , by Mardi Robyn. This tutorial provides a simple solution for those wanting a pearl earrings, but maybe cannot afford them, don’t wish to spend the money, or simply are afraid of losing them. 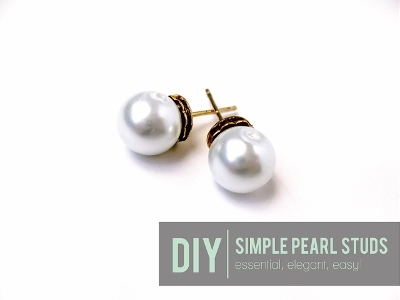 Reading through the tutorial I was glad to find out that I have all the supplies needed to make my own pair of DIY Simple Pearl Studs. Check it out!